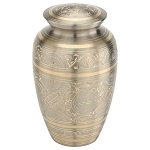 Exquisite hand engraving is the hallmark the Platinum Elite Brass Urn. 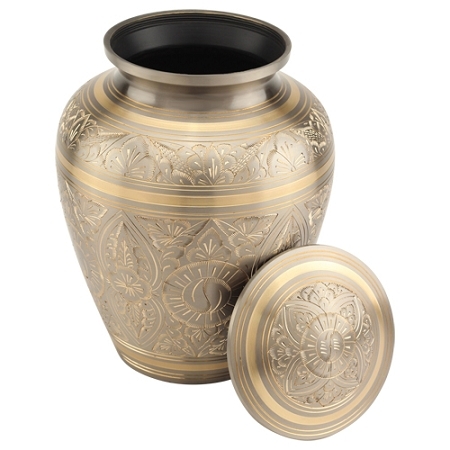 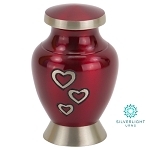 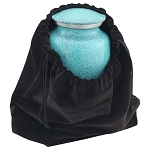 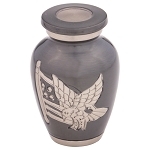 With gold engraving over a soft silver background, this brass cremation urn offers an elegant and regal way to honor a loved one. 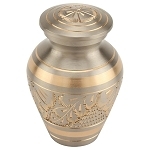 Due to the Platinum Elite Brass Urn's heavily engraved exterior, direct engraving is not available. 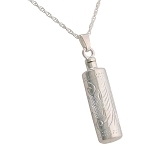 However, you may choose to add a lovely engraved pendant in gold or silver, which hangs around the neck of the urn by a satin ribbon. 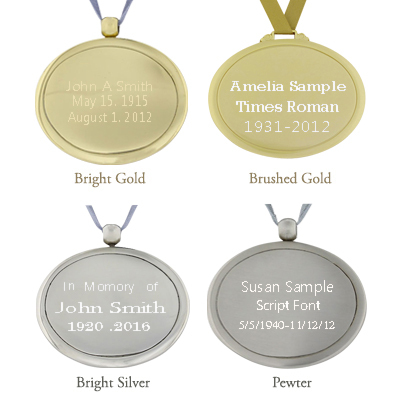 Our expert team is able to directly engrave a loved one's name, dates, or a short personal message into the pendant, adding a heartfelt touch. 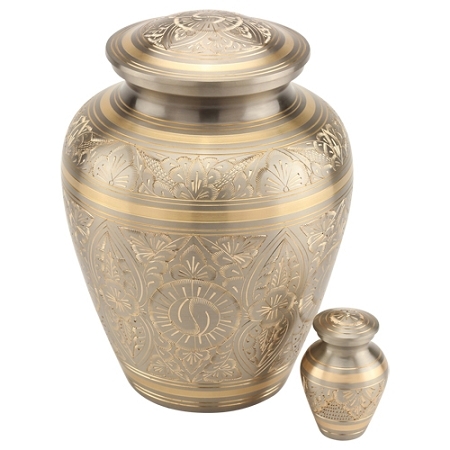 Exquisitely engraved designs are the hallmark of the Platinum Elite Brass Urn. 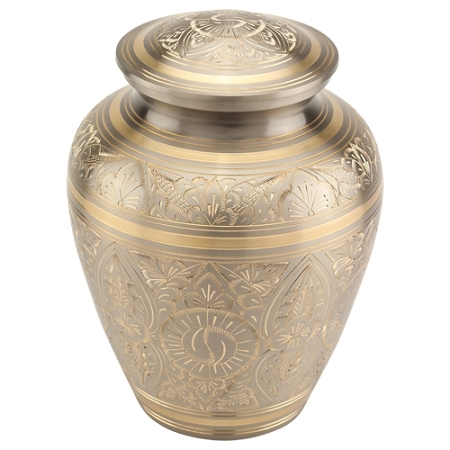 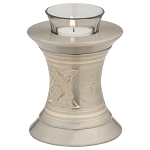 Silver and gold finishing adds a regal touch to this brass urn.